We’re not here to school you on the what’s right and wrong, or what you should be doing. We’re here because both Abby and I have discovered this newfound interest in the beauty industry and we wanted an outlet to explore and share these new insights and experiences. We’ll be sharing recipes we’ve found that incorporate some of our favourite skin-loving superfoods, we’ll be chatting with experts who do know what they’re talking about, we’ll be spotlighting some of our favourite products and taking you along on a visual journey that explores beauty in various capacities. And so much more. That's the best part of a new adventure — you never quite know where it might lead! To start us off, we wanted to share a little bit about what beauty means to us, and what sparked this new series. I can’t say I’ve ever really felt particularly drawn to the beauty world until recently. In fact, I’d say that if anything, it’s always felt a little daunting. I’m not much of a makeup wearer, though I do like the opportunity to play with it now and again. I have my tried and trues, but my collection is small and I don’t often venture outside of my comfort zone. As I entered into my 30s, this relationship started to change. I started to pay more attention to what I put on my skin and into my body, beginning to understand the correlation between the two and reevaluating what beauty meant to me. I quickly learned that it’s a complex concept, and one that intrigued me more and more as I dove further in. 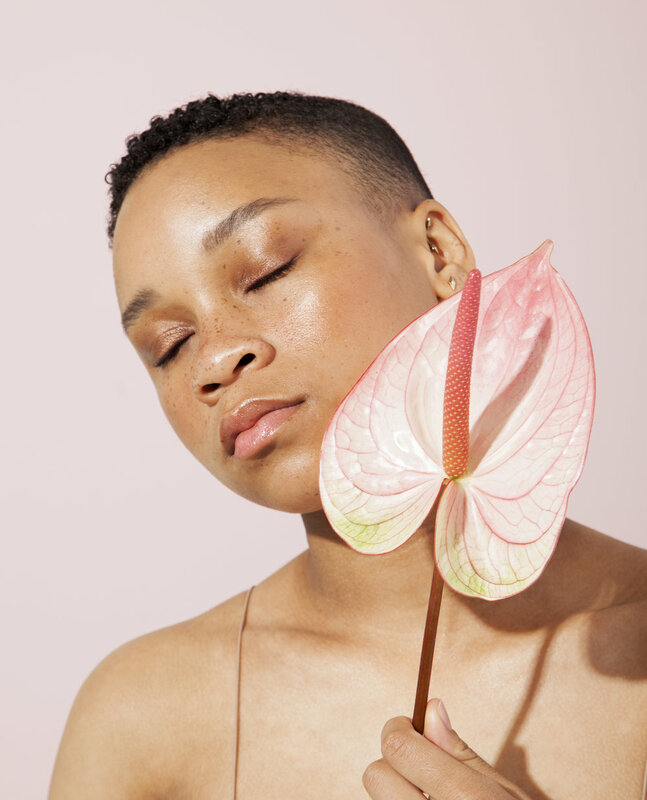 I found myself switching to natural beauty products, researching ingredients and taking extra measures to try to understand my skin and what it needs. Don’t get me wrong, I’m still a sucker for pretty packaging and have been known to justify a purchase because of it’s shelf appeal or a perfectly pink shade of lipstick, but I started to be more intentional with my routine. So when we started discussing what this series might look like, I saw it as an opportunity to explore this interest further and share this new adventure into the beauty world with you. Not as professionals, or makeup junkies, but as real girls who are still figuring it out. This idea that beauty is formed by mixing various elements, that it’s going to look different for everyone and that it’s meant to bring pleasure in some form — that’s the definition I want to explore as we introduce this new series on the blog. While growing up my mom would always tell me to wash my face before bed, a part of the nightly ritual that should never be missed. I’d watch my Grandma lather on creams and carefully prepare her skin before retiring for the evening, so I guess you could say my fascination for beauty and skincare really started at a young age. But then my skin started to change. It grew super sensitive and was constantly causing me these giant headaches, whether it was reacting to a product I’d been using for a while or acting out because of something that touched it. This caused me to fall out of love with this idea of skincare because it seemed my skin didn’t want to be cared for, it had a mind of its own. Then grew my ever changing and very bumpy relationship with my skin and I don’t think we ever truly understood each other. One thing that didn’t change was: my love for beauty products. I have an obsession with lipsticks ( Paige can attest to this) but as I grew older I became lazy in this routine and didn’t want to have to spend an hour prepping my skin to go out and face the day, plus it was beginning to feel suffocating and not truly me. Cue me and my skin slowly making up. 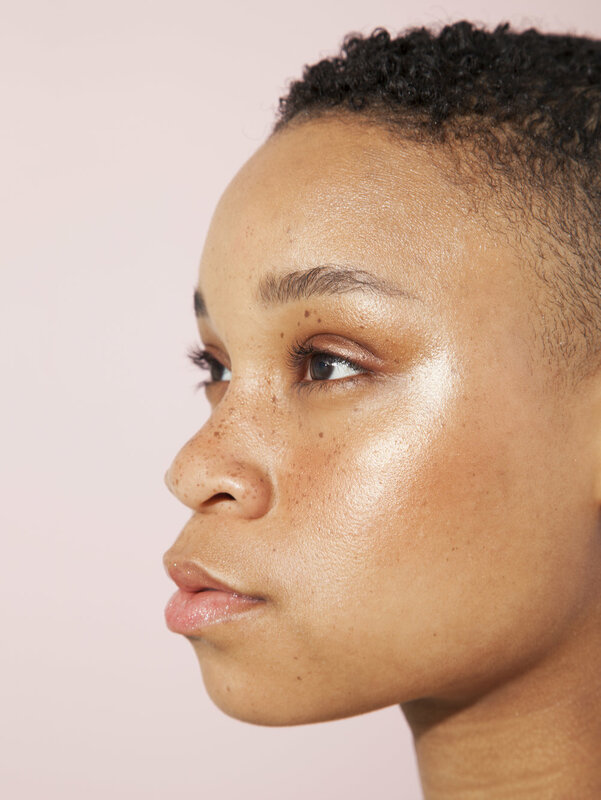 As I slowly fell back in love and began to understand that there’s more to skin than just skincare products, my love for learning pushed me to continue to explore and understand my skin, deepening our relationship. And while our relationship is not perfect, I am slowly learning more and more about how to care for my skin in a natural and more sustainable approach, not just on the outer layer but within my body as well. When Paige and I discovered our mutual obsession of skincare and how we both were itching (not literally) to have an excuse to explore it more, we started to dream up this series. Cue the name ‘Beauty School Dropout’ and we are just that, not professionals, just two girls who love to learn, love their skin and want others to fall in love with their skin as well. We wanted to introduce this new series with a special Beauty School Dropout themed shoot to kick us off and act as a visual interpretation of what beauty means to us. We took this as a chance to explore our current sources of beauty inspiration and this idea that though a “beauty shoot” is traditionally focused on heavily made up faces that show the power of transformation, makeup can also be used as an accent without being the focus. 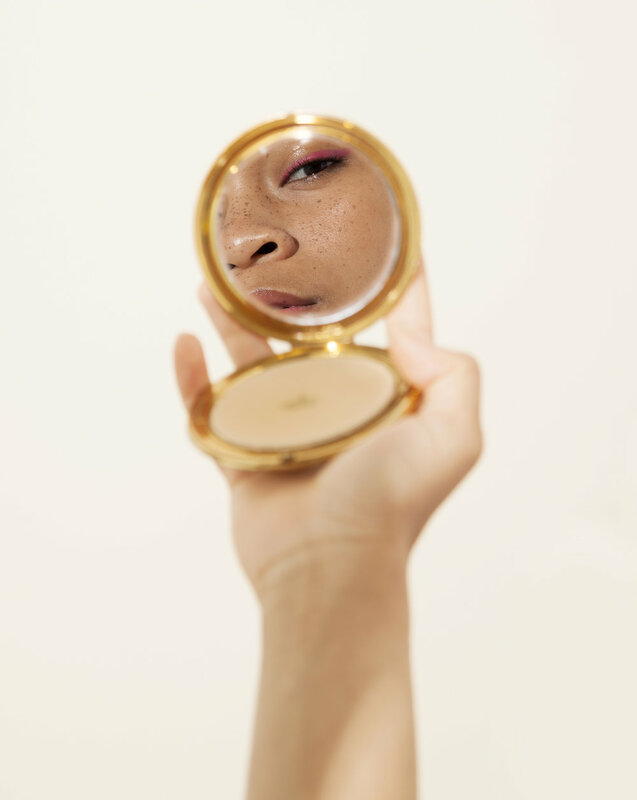 I think a recurring theme throughout this series is going be about finding the balance between caring for your skin and loving the skin you’re in, while also having fun and playing with makeup as a creative tool, not a mask. It gave us the chance to explore some of these themes surrounding beauty that we're looking forward to exploring in a more creative light with a serious dream team of amazing women that helped to bring our vision to life. Creative Direction and Styling: Paige, Studio Bicyclette. Creative Direction and Production: Abigail Ballanger. Photography: Steph Martyniuk. H/MU: Alyssa Manuel. Models: Ainslie and Dae.